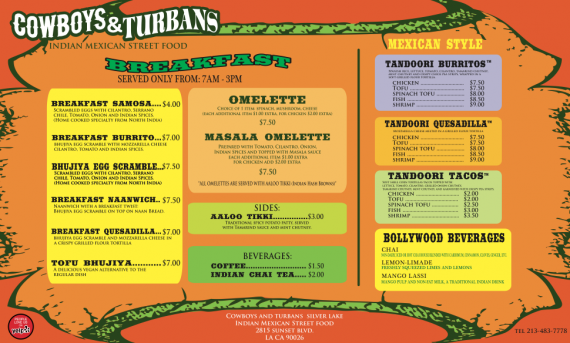 quarrygirl.com » Blog Archive » cowboys and turbans gets a new menu! 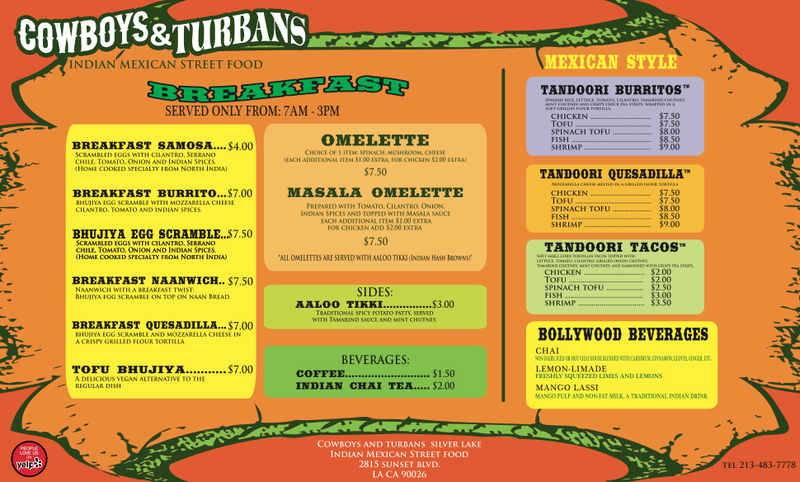 cowboys and turbans gets a new menu! hey LA, we have some great news! our favorite indian/mexican-inspired food joint has added a slew of new animal-free dishes to its menu! 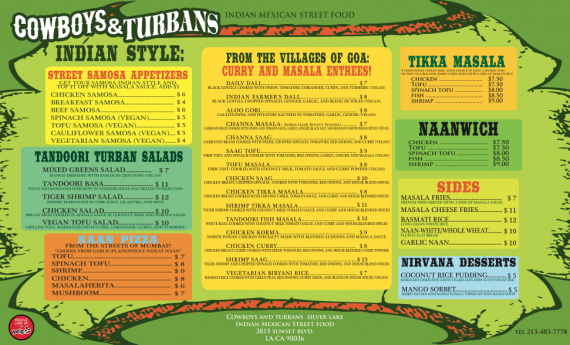 that’s right, cowboys and turbans has had a total face-lift, and their new menu includes even more delicious vegan items than before. 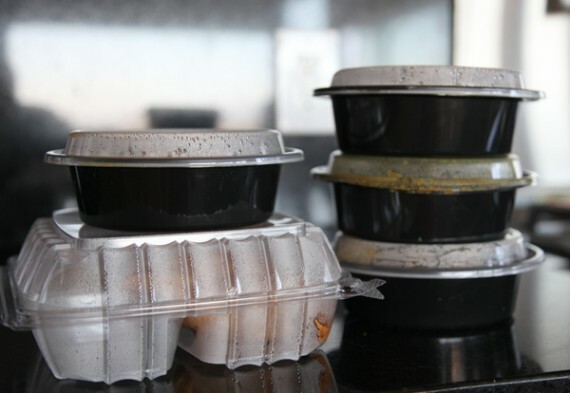 not just that, but they now DELIVER (literally, not just on taste) to the silverlake area. not only was it ENORMOUS (see it pictured with an iphone to get an idea of the size), but it was delicious as well. 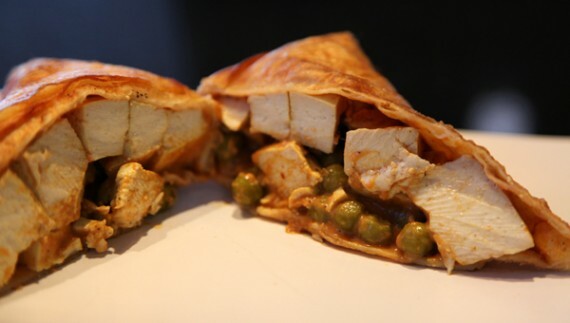 soft and thick tofu in a medley of delicious indian flavors, all mixed up with peas and tomato. so good! and if you live in the silverlake area, cowboys and turbans will now deliver to your door for just a $15 minimum! 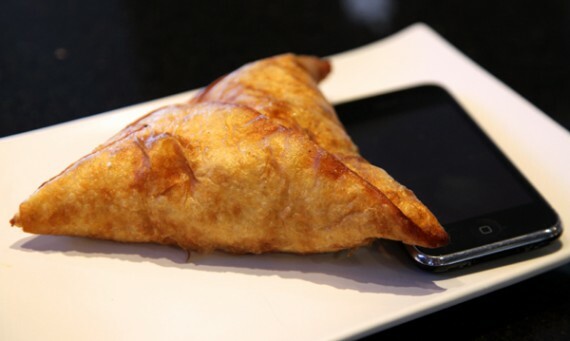 That samosa looks amazing. Would be a meal in itself. 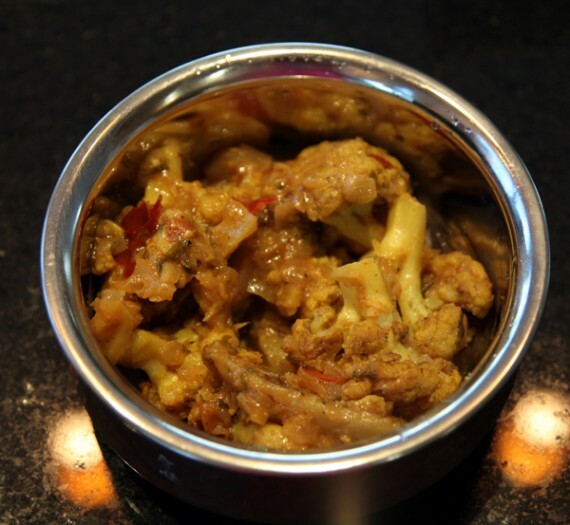 I can’t believe you paid $8 for such a small portion of aloo gobi. The Samosa House stuff is way, way better value. Still haven’t stopped in here, I’m so behind on my list of vegan places to visit in LA. This place is fantastic! Can’t wait to try the new menu!! I wish breakfast weren’t the hardest meal of the vegan day. So hard to get a nice, hot breakfast. I first read about this place on your blog, and I’ve seriously been going here at least once a week. I love it. Thanks so much for posting about it! 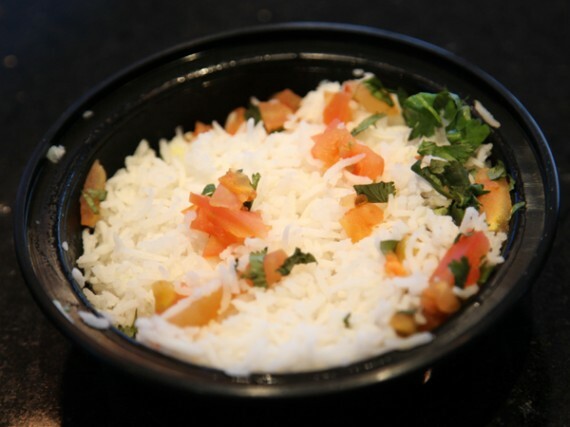 You have fired up my Indian Food Taste Buds. 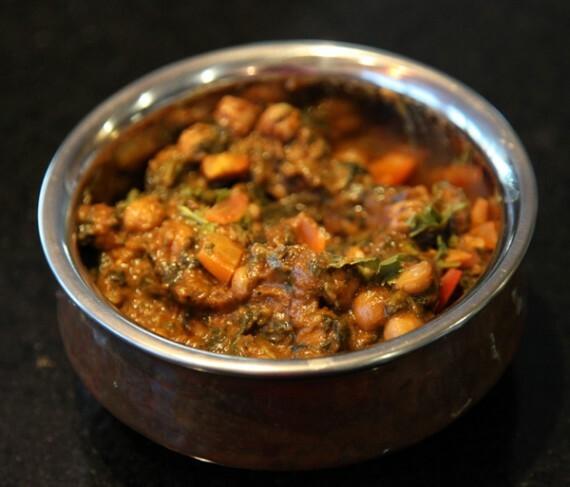 Indian Food is a “Must Have” for tomorrow night!! Was there about 7 hours ago. Went with a couple of carnivores and they ended up ordering only vegan food. We loved it all! And the owner was such a sweetheart! Gave us hats with the logo on it, and came by to converse with us a few times. My first time there and already can’t wait to go back. Those entrees look tiny! 8 bucks for those? 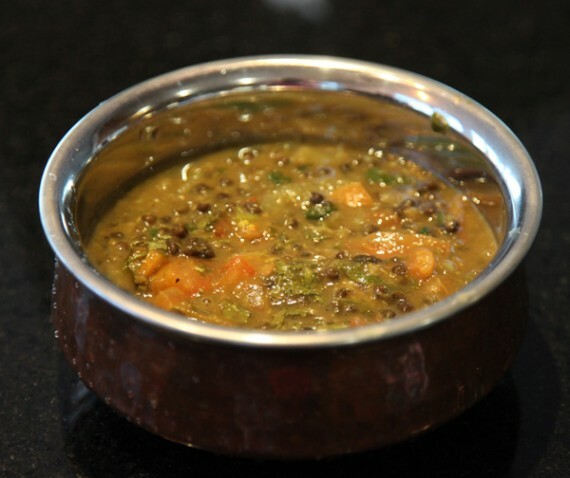 How do the flavors stack up against Samosa House and Bawarchi? They’d better be a party in the mouth at those prices.